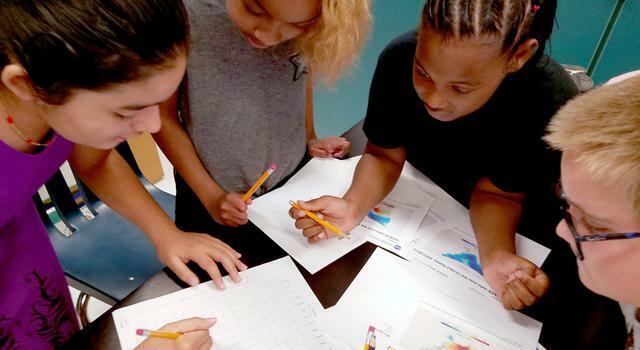 Students will make observations of two containers in order to identify differences in content, justify their claims, and make comparisons to dark matter observations. Prepare the jars as described in Step 1 of Procedures prior to student arrival or class starting. Cosmologists, or people who study the origin and evolution of the universe, have discovered that what we think of as ordinary matter, like that on the periodic table of the elements, accounts for only a small fraction of the total mass of galaxies. Galaxies, like our Milky Way, contain mostly dark matter, a hypothetical substance that does not reflect or absorb light the way normal matter does. Although we cannot see dark matter and we have not yet detected it in a lab, its presence is made known through gravitational effects. Based on theoretical models of the universe, dark matter accounts for nearly five times as much of the universe as does regular matter. Prior to students arriving, place a handful of the change or loose material in each bottle. Fill one bottle with water so there is no room for air when the bottle is capped. Present both bottles to students and ask them to explain how they know for certain that water is present in one bottle. While it is obviously there, it is also “invisible,” so students may find it challenging to describe the effects of what is not directly seen. One container should be heavier (has a non-visible mass). If inverted, the material would move slower or differently through the bottle containing water (moves differently than it would in empty space). The jar with water bends light, distorting how the objects inside look compared with those in the empty bottle (similar to gravitational lensing). Gravity bends light and distorts what we see in space, similarly to the way water distorts how objects inside the bottle look. As the light from distant galaxies travels to us, it must pass through the gravitational fields of other galaxies, hence we see distorted images of the distant galaxies. Ordinary matter does not account for the amount of distortion that astronomers observe. 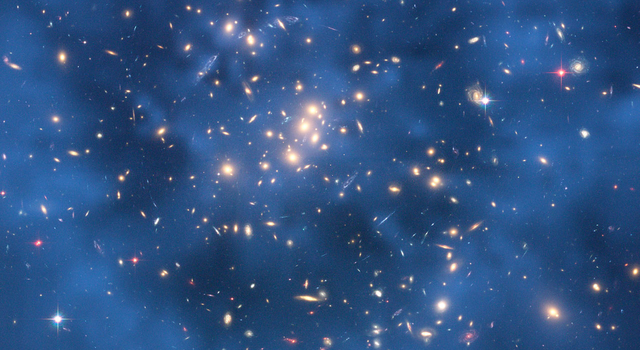 Dark matter alters the way that galaxies move. For instance, it causes the edges of galaxies to rotate more quickly than we would expect if galaxies contained only ordinary matter. Dark matter also acts like “gravitational glue.” It binds together clusters of galaxies that would otherwise break apart. Dark matter has mass even though we can’t see it. Astronomers have various ways of weighing the entire Universe. When they do, they find that the amount of matter in the Universe is far greater than the amount that we can see.